NOZOHAEM - De website van capricornlifesciences! 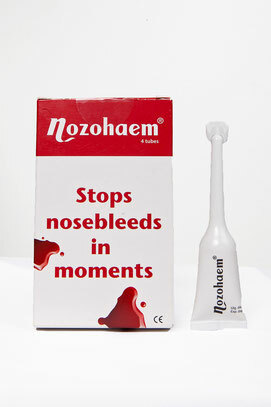 NOZOHAEM, a nasal gel containing glycine, an amino acid produced by the body, which is used to form protein. One protein that uses a great deal of glycine is the connective tissue (collagen). Collagen is needed to enable blood platelets to function effectively and reduce the bleeding. The nasal gel is applied to the nose where it stops bleeding effectively. Medical device Class I.